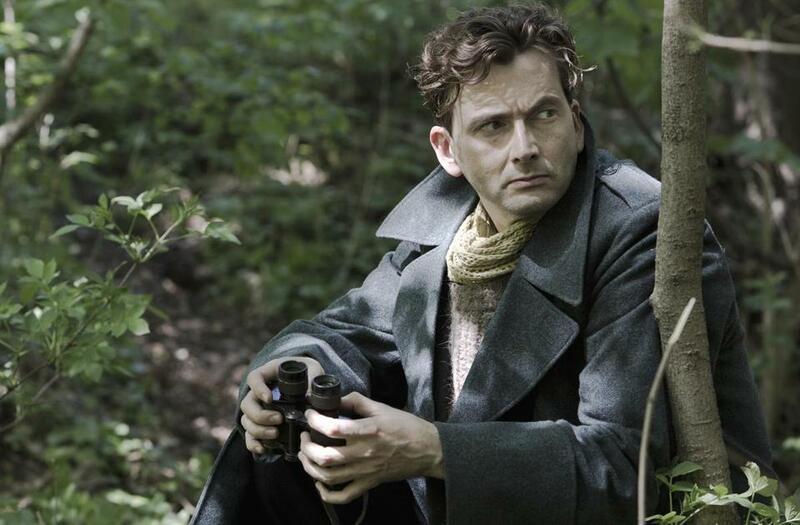 David Tennant stars as Jean-Francois Mercier, a French military attaché based at the French Embassy in Warsaw. Set in 1937, BBC America’s “Spies of Warsaw” is a strangely bloodless affair. There’s almost no tension in this two-part espionage miniseries, even while we know that World War II and Hitler are looming in the close distance. The story wanders slowly and aimlessly when it should be tumbling toward a climax. It’s a ride on flat terrain. Based on the 2008 novel by Alan Furst, “Spies of Warsaw” also takes a sloppy and inadequate approach to characterization. The popular David Tennant, one of the many Dr. Whos, plays the hero of the piece, Jean-Francois Mercier, a French military attaché based at the French Embassy in Warsaw. Mercier covertly digs for intel on the Nazis’ preparations for war, prying out bits from terrified sources and sneaking across the border to film German tanks in the Black Forest. Tennant is fine, if somewhat miscast, as Mercier, but he keeps his English accent, as does the woman Mercier falls for, a Polish lawyer for the League of Nations named Anna (Janet Montgomery). The international import of their affair is lost, as they come off more like a pair of Brits on tense holiday than an alliance of the heart between France and Poland. Meanwhile, the characters around them, including Anna’s Russian-exile boyfriend, are heavily accented — think Boris and Natasha. And the caricatured Nazis speak in their native tongue, so we get English subtitles. It’s a mishmash of approaches. That mishmash extends to the plotting, as it moves in fits and starts with almost no signposts along the way. Who are these people, what are they doing, and why? I suppose if you’ve read Furst’s novel, you’ll quickly make sense of the first half-hour of the miniseries, which premieres Wednesday night at 9; the rest of us, however, have to strain to piece it all together. In some TV narratives, the writers will ask the viewers to work at orienting themselves, to re-create the chaos of the subject matter. The form will match the content. David Simon purposely didn’t spell out circumstantial information in both “The Wire” and “Generation Kill,” for example, to give us a sense of the disorder of the streets of Baltimore and the war in Iraq, respectively. In “Spies of Warsaw,” the lack of explicit context and descriptors doesn’t seem deliberate so much as lazy. Like “Restless,” a British two-parter that recently aired on the Sundance Channel, “Spies of Warsaw,” is laden with brooding atmosphere that is ultimately stifling. The melodrama thickens as Mercier begins to pressure Anna to leave her boyfriend for him. As soon as she makes a move in that direction, her boyfriend disappears under mysterious circumstances, heightening her angst tenfold. By the end of the first half of “Spies of Warsaw,” you wish they’d just drop it all and run off to England together, where they’d certainly fit in more naturally.